Classic Tree Service strives to deliver the best in industry standard high-value tree services for commercial and residential customers. 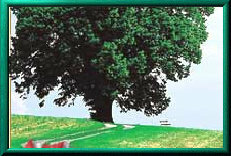 Classic Tree Service is a locally owned and operated professional tree service company. Our focus is on superior work quality and outstanding customer satisfaction. To achieve and maintain these objectives we employ only our own full time employees on our work crews. Our employees are among the best in the industry. Worker safety is of utmost concern at Classic Tree Service. Our crews are all trained in the current Safety Requirements for Arboricultural Operations, and we hold weekly safety meetings with all personnel to assure continued compliance with these requirements. We recycle all of our tree debris at our on-site facility into mulch, firewood and wood shavings. We are fully covered by our corporate insurance to protect our clients, our workers, our company and the general public. This coverage includes General Liability, Workers Compensation, and Vehicle Insurance.